Alabama quarterback Tua Tagovailoa won the Walter Camp Award on Thursday. The honor is bestowed upon the nation's best college football player in a vote gathered from each head coach and sports information director in Division I-FBS. The 20-year-old Tagovailoa led Alabama to a 13-0 record, SEC title and No. 1 seed in the College Football Playoff this season. He threw 37 touchdown passes and completed 67.7 of his attempts. He beat a trio of quarterbacks (Kyler Murray of Oklahoma, Gardner Minshew of Washington State and Will Grier of West Virginia) in addition to Kentucky linebacker Josh Allen for the award. Tagovailoa has a chance to collect more hardware on Saturday as he, Murray and Ohio State quarterback Dwayne Haskins are up for the Heisman Trophy. The 20-year-old said he was "honored" to win the award, which has been given to NFL legends such as Arizona Cardinals wideout Larry Fitzgerald and ex-Detroit Lions running back Barry Sanders. Tagovailoa deservedly joins excellent company with the win. However, far greater priorities exist for Tagovailoa right now. Namely, he is looking to bounce back from a high ankle sprain suffered in the fourth quarter of his team's 35-28 win over Georgia in the SEC Championship Game on Saturday. His next scheduled game is the Orange Bowl on Saturday, December 29 against No. 4 Oklahoma in a College Football Playoff semifinal matchup. 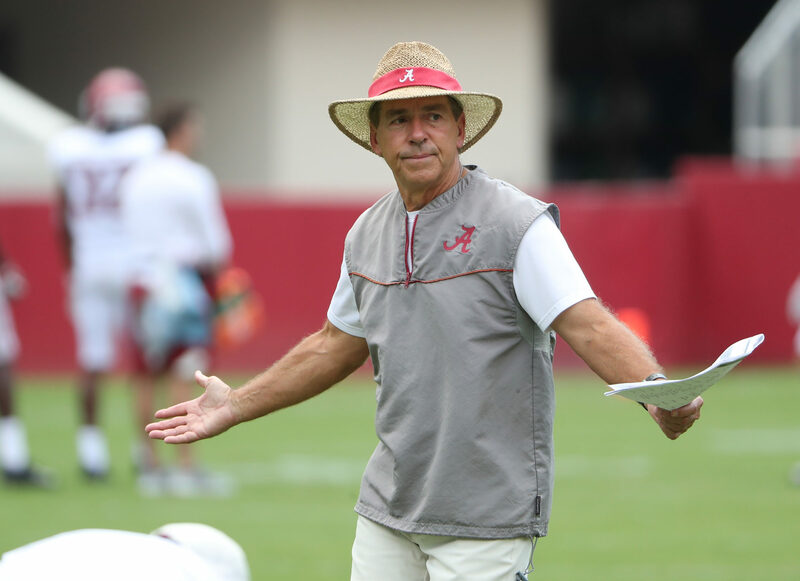 Per Charlie Potter of Bama Online, Nick Saban told reporters in a press that the quarterback is "right on schedule." Tagovailoa also added some comments. "I couldn’t put a timetable on this," he said. "I’m just looking at trying to get better every day, and hopefully, it feels a lot better leading up to the game." OddsShark lists Alabama as a 14-point favorite over Oklahoma.